Among the many ways DC Comics got the "comics event" format right this time with Batman: Endgame was to tell a complete story in the pages of Batman, and then to publish specials that involved the Bat-family's ancillary titles, wholly separate from the main "Endgame" story and without interrupting the other titles' ongoing stories. The result is that The Joker: Endgame is entirely optional reading, but also enjoyable reading that makes a fitting companion to Endgame proper. There's some sense of the individual titles' identities here, but moreover they all work together to make a book about stories -- and indeed, a book about stories about the Joker -- making Joker: Endgame a volume that celebrates the Clown Prince of Crime and reasonably stands on its own apart from the "Endgame" event, too. In Batman: Endgame, writer Scott Snyder posits that the Joker might be some demonic boogeyman-like figure, a theory that the story then generally disproves by the end. Certainly the theory is suggested compellingly (and by the New 52 Crazy Quilt, no less) and goes to Endgame's themes of Batman and the Joker as men versus myths; however, if you devour the Endgame collection in one sitting, there's not a lot of time for the "immortal Pale Man" idea to fully percolate. Enter Joker: Endgame. In a manner not unlike Jim Starlin's Batman #423, "You Shoulda Seen Him," or the Batman: The Animated Series episode, "Almost Got 'Im," Joker offers a variety of stories, often told by Gotham's regular people or minor criminals, about where the Joker came from or this or that near miss with the villain. At times these stories get downright supernatural (especially in the Batman backups by James Tynion with art by all-stars including Kelley Jones, Graham Nolan, Sam Keith, and Dustin Nguyen) in a way that lends frightening credence to the "Pale Man" theory. Even if that's ultimately disproved, Joker: Endgame demonstrates the extent to which the Joker's legend resonates with the Gotham characters, and this offers a greater lens through which to experience Endgame proper than just the smaller blow-by-blow Batman/Joker fight. Among these, the best is James Tynion's Batman Annual #3, a markedly frightening Joker story. Reporter Thomas Blackcrow makes the mistake of insulting the Joker and suggesting the Joker has no friends, causing the Joker to stalk Blackcrow all the rest of his life. Depending on your take on the Joker, either the Joker is insane enough to actually believe Blackcrow is his friend and then causes unwitting mayhem every time the Joker re-enters Blackcrow's life, or the Joker is so malicious as to continue to make Blackcrow pay for his statement over and over until Blackcrow finally commits himself to Arkham. Either way, Tynion and artist Roge Antonio achieve a rarity in comics, authentically scary jump scenes by virtue of still images and written sound effects; it's a terrifying tale that works just as well with Endgame as any ol' time when the Joker might be on the loose. I'd heard a lot of fanfare about Brenden Fletcher and Cameron Stewart's Batgirl: Endgame special, such that I was surprised to find it a mostly-silent issue in which Barbara Gordon saves Lucius Fox and family from the Jokerized population. With only a minor hint of special enmity between Batgirl and the Joker, and no specific reference to Killing Joke, how did this issue mark a triumph of the Burnside Batgirl leaving old tropes behind? And then I realized, perhaps the lack of reference is the triumph, that this is a Batgirl story set within a Joker event where the emphasis is on Barbara saving people and not on the traumas of the past. To tell a silent story in the midst of Batgirl of Burnside's techno-hijinks would have surely seemed an interruption, but as a special it's a lovely self-contained Batgirl story. The Detective Comics special is in the vein of Batgirl story, as heroes including Red Robin, Batwoman, and Spoiler help future-Anarky Lonnie Machin save his mother; I'm not entirely sure how this fits into Detective's "Anarky" story, but neither did that affect my reading. It's fun to see Spoiler in a story, of course, though as the third volume of Batman Eternal hasn't yet come out, some of how who got where went over my head (also Brian Buccellato had Red Robin calling Batwoman "Ginger," which seemed out of character). Becky Cloonan, Brenden Fletcher, and company's Gotham Academy special tells Jokerized ghost stories with a slightly lighter bent, a good counterpoint to the Joker origins full of murder and mayhem in Tynion's Batman backups. Of them all, only Frank Tieri's Arkham Manor: Endgame special is truly flat, with too much accidental similarity between the "regular guy" protagonist and that of Tynion's annual, which in turn makes the story feel repetitious. Also there's a lot of potential when Harvey Bullock insinuates the influence of the Penguin that comes to nothing in the end; what defines the story is mainly the last-page twist. It's worth wondering the value of purchasing Batman Vol. 7: Endgame, when at just five dollars more, Joker: Endgame includes the same Batman material plus all the extras. I do grant that the answer might be the completeness of one's Batman collection; the further question there would be why DC should publish Joker: Endgame at all and not have just lumped all of this material into Batman Vol. 7. The organization of Joker: Endgame is problematic; interspersing the Batman back-up stories with their respective issues might preserve the serial reading order, but it makes for choppy reading when I might have preferred some reorganization to keep these parts together. Plenty of comics events profess to not make their tie-ins required reading; that's been the mantra, even, of some earlier events by the current Batman team, which I appreciate, though the end result has rarely been so cut and dried. 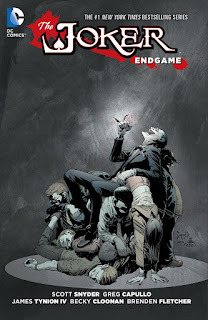 Here in the final Bat-even before Convergence, however, everyone's got it right, and The Joker: Endgame is a true collection of tie-ins that are not essential, but then by natural strength of their stories prove themselves worthy reading after all. When readers crave a Joker fix, I wouldn't be surprised if they come back to Joker: Endgame time and again. Thank you for the review. I was wondering which would have been the better buy. I think the reason why people raved so much about Batgirl: Endgame was Bengal's superb artwork. It's good to know that such a talented artist is available to pinch-hit whenever Babs Tarr needs a break. However, I still think Batman Vol. 7 is the better reading experience, and this book would have made more sense as the companion volume it was originally solicited as. Right; another way to avoid the controversy would have been to not include the full Batman Vol. 7 issues here. Though I still think one single complete volume would have been the way to go. Wait.... so all the comic pages from Batman, Vol. 7 are in this one, too?? Yes. Give or take maybe a variant cover. RE: Tec Endgame. It's essentially an epilogue to the Anarky arc in issues 37-40, where Lonnie Machin is a red herring. As far as I can tell, Lonnie was never Anarky in the post-Flashpoint universe and was raised by his birth mother. That's ... bizarre. I guess it'll make more sense once I've read that Detective Comics book. It looks like "Joker: Endgame" doesn't have any of the alternate cover art for the Batman issues in it. Does the "Batman: Endgame" collect them (they usually do)? This is incredibly frustrating. 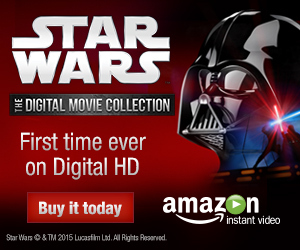 Why leave them out? Does the paperback edition includes Batman #40? Hardcover does so I can't see why not the paperback. The supposed omission of issue #40 was an error in the solicits for the hardcover; it has it.